At the world’s premiere garden extravaganza, two new super-green buildings have sprouted up. On a sliver of land, HOK, in association with Stantec Architecture, has created a medical learning centre that’s sliced in half and features a cleverly colour-coded wayfinding system as well as a slew of eco features. Nestled in a residential area of Maranello, Emilia-Romagna, the new building by Arata Isozaki and Andrea Maffei features winding windows that bring in the elements to create a light-filled reader’s retreat. New York’s James Corner Field Operations — the landscape designer behind the High Line — has been selected to revitalize the slice of Chicago waterfront that Daniel Burnham once envisioned as the People’s Pier. 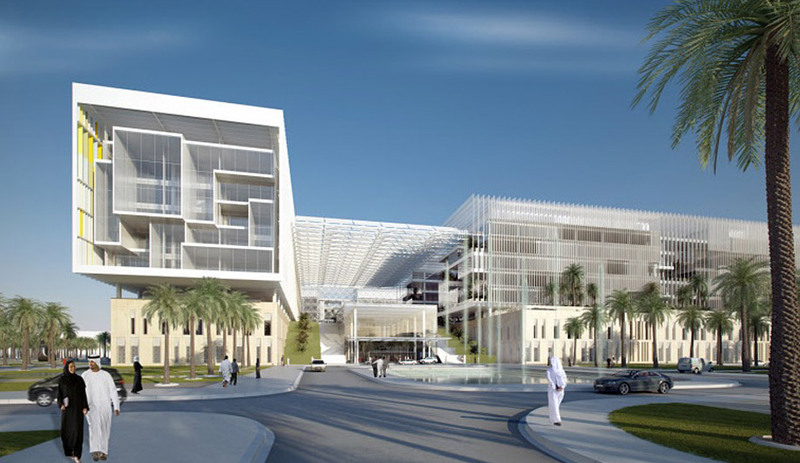 The Sheikh Khalifa Medical City will incorporate green interior spaces to build a sense of community and craft a more human-centred visitor experience. On Thursday, check out this day-long symposium arranged by Columbia University that seeks to establish better communication at every link in the green building supply chain. 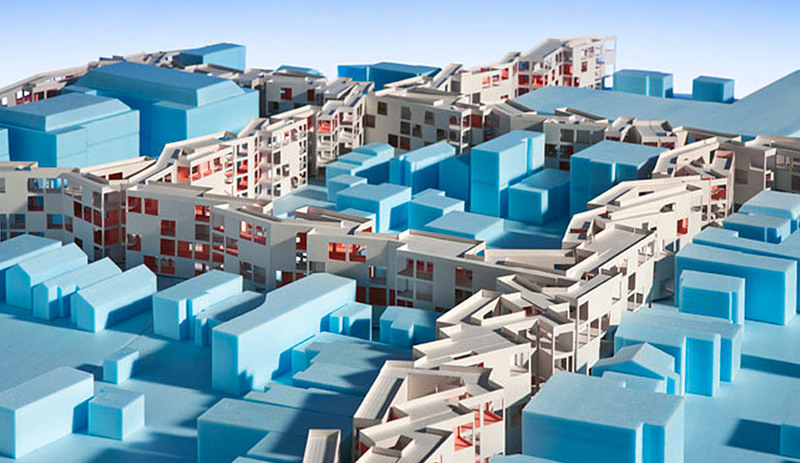 At New York’s MoMA, five firms reimagine the American Dream after the economic crisis of 2008 that led to massive housing foreclosures. The results are receiving mixed reviews. 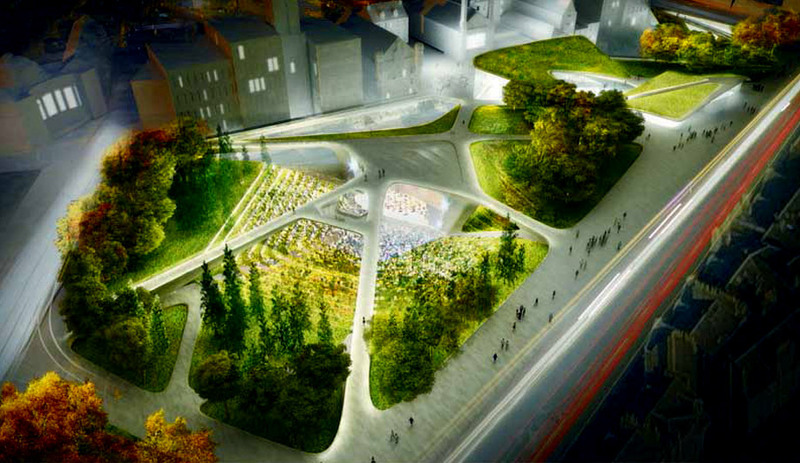 Concrete pathways that double as the framework for an ampitheatre are sure to lure visitors to the Scottish city’s new urban park. The Interior Design Show isn’t just about scoping out the latest in furniture and fixtures, it’s also an opportunity to clink glasses and chat up the industry’s movers, shakers and tastemakers on the show floor and around the city.